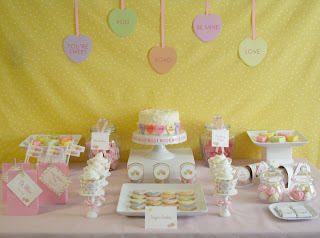 I knew I wanted to do a Valentine's Day dessert table centered around something sweet. 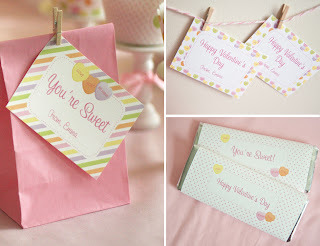 The timeless conversation hearts came to mind and being able to use all the pastel colors would be a great depature from the typical red and pink. 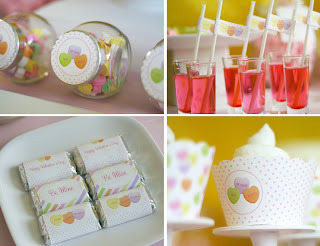 Kids and adults adore them just the same and this theme would even be great for a wedding shower. The lovely Courtney Dial of Pizzazzerie featured my table last week on her site and I'm here to do another giveaway of the printables you can use to host your own conversation heart Valentine's Day party! One lucky winner will receive over 10 PDF's that you can use to recreate this party yourself! Circle tags, cupcake wrappers, straw flags and mini Hershey wrappers are some of the other super sweet printables you could win! I LOVE the conversation heart sugar cookies that Karen from Sugar and Flour makes! I designed three different paper patterns that you can print out and use to make limitless crafts. Use them to cover paper mache mailboxes! 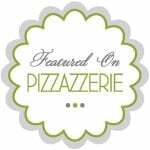 3. leave a comment below letting me know you signed up to follow my blog. Don't forget, to leave a comment!! Please contact me at katie@greenapplepaperie.com so I can email you the files. I would LOVE LOVE LOVE to win this adorable collection! I am a fan of your on facebook! I'd love to win this set. I would love to win so I could have a Valentine's party!! I became a fan on facebook. Super cute. Who wouldn't want to win this sweet collection? I am a fan and a devoted follower - found you through another friend. You inspire us to make our lives prettier every day. I host a Valentine Tea for my "girls" and this would be lovely. Pick me! Pick me! I would love to twin this. And now, I am following your blog! So cute! I'd like those cookies too! It all looks delicious! Yes please!! I'd LOVE to win this! 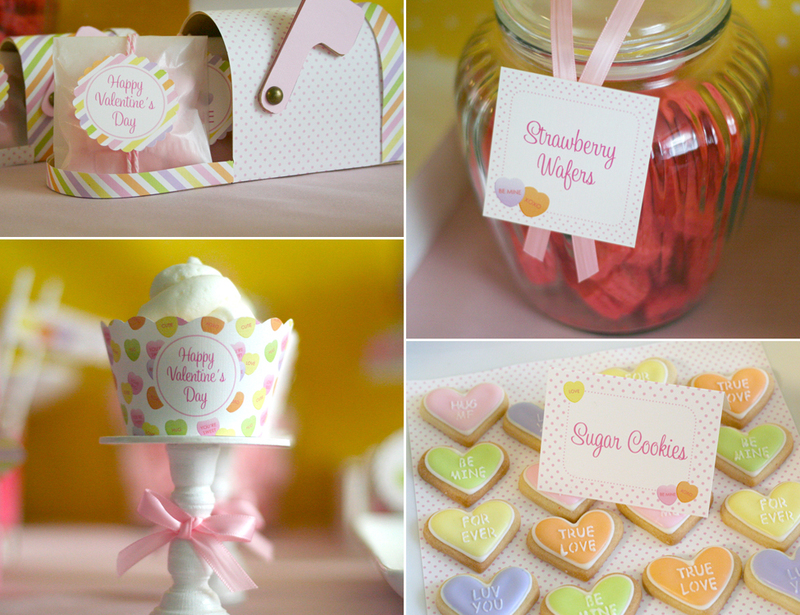 We don't celebrate Valentines Day in Audtralia anywhere near as big as in the US buuuuut I would adore these printables to put together a fabulous bridal shower for my brothers gorgeous finance! I love conversation hearts and this is sooooo adorable! I am a facebook fan and blog follower. I would love to win this! I would love to win, I already follow you on facebook and now also on your blog! This site is super cute! Very inspirational! Valentine's Day is one of my favorite holidays. I'd love to get a set of those printables! I would love to win this adorable collection! !